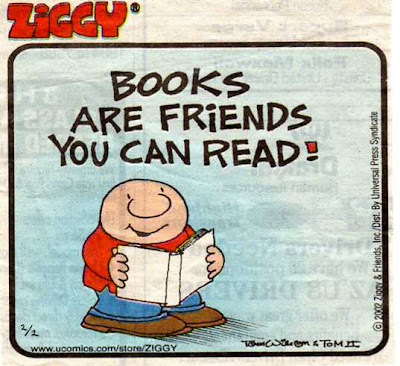 I certainly agree with the renowned theologian Ziggy on this subject...books and friends. My most prized possessions outside of my relationship with God and my family are my books and friends. Ministry responsibilities take me away from home and family but I always have friends with me. Friends I can read...books, good books, life-changing books. I always try to keep some in the car...just in case. Thank God for books and friends! it is a very good book ! I miss you. Thank-you for all you are 'in Christ' and may this year be a wonderful year for you and your family.